Presented at Museo Soumaya in Mexico City. 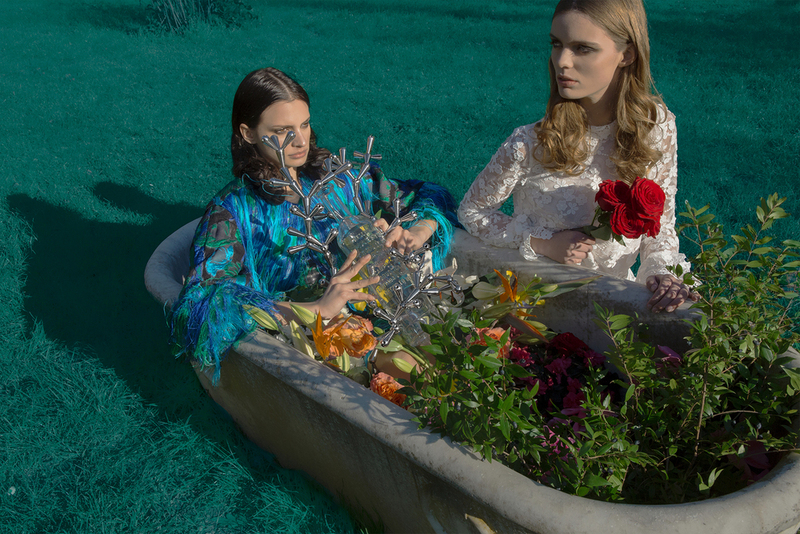 Surrealist, bizarre and wild, the fashion editorial takes inspiration from the cult 1975 film, Grey Gardens, portraying two original women determined to live life their own way. The viewer is moved to wonder what the story behind these two fascinating women might be. The editorial features 15 works of art created by acclaimed contemporary artists and designers blending with the latest fashion trends in a bohemian setting. The project was initiated by LUISAVIAROMA, the giant of luxury e-commerce, and involves 15 artists and designers in a customization of the Maestro Dobel Diamante bottle by Jose Cuervo. In collaboration with Sotheby’s, these works of art will be presented and auctioned during an exclusive charity event at the prestigious Museo Soumaya. All profits will be donated to Fundación Origen.